Dopamine is a hormone and neurotransmitter occurring in a wide variety of animals, including both vertebrates and invertebrates. In the brain, this phenethylamine functions as a neurotransmitter, activating the five types of dopamine receptors — D1, D2, D3, D4 and D5, and their variants. Dopamine is produced in several areas of the brain, including the substantia nigra and the ventral tegmental area. Dopamine is also a neurohormone released by the hypothalamus. Its main function as a hormone is to inhibit the release of prolactin from the anterior lobe of the pituitary. Dopamine has many functions in the brain, including important roles in behavior and cognition, motor activity, motivation and reward, inhibition of prolactin production (involved in lactation), sleep, mood, attention, and learning. Dopaminergic neurons (i.e., neurons whose primary neurotransmitter is dopamine) are present chiefly in the ventral tegmental area (VTA) of the midbrain, substantia nigra pars compacta, and arcuate nucleus of the hypothalamus. Parkinson's disease affects between 7 and 10 million people worldwide and the number of people diagnosed is soaring due to the ageing population. Neuroscientists at The University of Queensland have developed a new animal model of schizophrenia that will enable researchers around the world to better understand the disease and develop new treatments. Korea Brain Research Institute (KBRI, President Pann Ghill Suh) announced on Mar. 4 that its research team led by principal researcher Yoichi Kosodo developed a technology to mass produce cerebral cortex neurons utilizing Induced pluripotent Stem Cells. A clinical trial of an experimental drug designed to treat cravings associated with opioid use disorder has begun in the National Institutes of Health Clinical Center. A new study has found that teenagers and youngsters who are treated with amphetamines such as Adderall are at a greater risk of developing psychosis compared to patients who are on other drugs such as Ritalin. The results of the study were published in the latest issue of the New England Journal of Medicine. Under Australia's Pharmaceutical Benefits Scheme (PBS), soon many of the rare diseases and their treatments are set to become cheaper. A group of Brazilian scientists have long conducted experiments with roundworms to investigate the role of schizophrenia-linked genes in patients' response to antipsychotic drugs. The results obtained thus far point to new ways of understanding resistance to certain classes of medication. Laboratory analysis from the first arm of a phase II clinical trial testing the use of nilotinib in patients with Parkinson's disease demonstrates precisely how the agent increases levels of dopamine in the brains of study participants, says a research team at Georgetown University Medical Center. 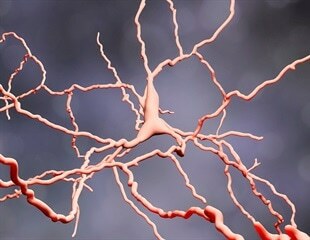 Symptoms of Parkinson's, such as motor dysfunction, are a result of a dopamine loss. UC San Francisco researchers have for the first time developed a strategy for targeting a key molecule implicated in Parkinson's disease, opening up a potential new treatment strategy for the currently incurable movement disorder. A large multi-centre study of more than 1,200 patients provides important predictors of Parkinson's disease progression, which will allow better candidate selection for clinical trials and more effective therapy development. Young adults at risk of developing problems with addiction show key differences in an important region of the brain, according to an international team led by researchers at the University of Cambridge. In individuals, stress exposure in adolescence increases vulnerability and risk of developing psychopathologies in adulthood, such as drug addiction, mood, anxiety, addiction to gambling, attention deficit hyperactivity disorder, etc.